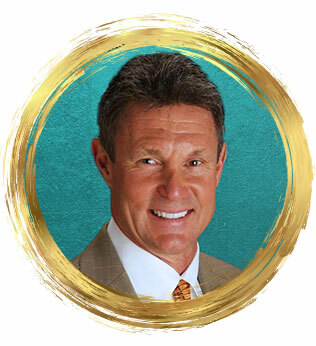 Our cosmetic dentist, Dean Lodding, DDS, and our experienced team are pleased to offer porcelain crowns and dental bridges to our patients. We understand that a missing or damaged tooth can often be a source of discomfort and embarrassment, in addition to having a negative effect on your oral health. At Smile for Life Dental, we can address painful, damaged, or missing teeth with advanced procedures designed to provide results that look and feel natural. 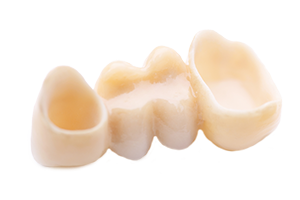 Our high-quality dental crowns and bridges are made in-house by our ceramist using state-of-the-art technology. We can help restore your dental health by bringing proper form and function to your teeth for a beautiful smile you can wear with confidence. If you would like to learn more about our cosmetic dentistry options, or if you have specific questions about one of our procedures, please contact us today. If a tooth is heavily decayed or damaged, but does not need extraction, a porcelain crown may be beneficial. In this procedure, a dental crown is fitted over the tooth to restore functionality. This can help provide durability and coverage, so further damage is less likely to occur. While strengthening the structure of your tooth, a crown is also made to look and feel natural. With proper maintenance, a crown has the potential to last many years. One of the benefits of having this procedure at Smile for Life Dental is that we have an on-site ceramist, which can shorten the time necessary to complete the treatment. In a porcelain dental crown procedure, Dr. Lodding will examine the tooth in question to determine if a crown is a practical solution. If you have experienced sensitivity to hot or cold temperatures, or if the tooth is causing pain, these points should be communicated to Dr. Lodding. Once he decides that a porcelain crown can be beneficial, he will create a custom treatment plan tailored to your specific needs. Our in-office master ceramist will work with Dr. Lodding to create your porcelain crown and ensure that the fit, color, and bite are just right. This can save you from returning to our office multiple times to check the fit and feel of your new crowns. Below we have outlined some common questions we receive from our patients regarding porcelain crowns. We hope this can be helpful to you when considering this procedure. If you have more questions, our office staff is available by phone or email. Will I need a root canal if I get a porcelain crown? Not necessarily. Not all patients who can benefit from a dental crown will also require root canal therapy. However, if you need a root canal, you will also need a dental crown. If you have any questions about this process, please contact our office. Should I choose a dental crown or a porcelain veneer? It is important to know that these are two very different procedures. Porcelain veneers are primarily used as a cosmetic enhancement for teeth with chips, gaps, cracks, or deep stains. Dental crowns are typically utilized to repair teeth that have been badly decayed or damaged. After examining your teeth, Dr. Lodding will determine which procedure may be the better option for your needs. Are there risks associated with dental crowns? While there is the possibility for complications to arise with dental crowns, potential adverse effects can be minimized with the proper care. The area around the tooth may feel sensitive to temperatures, but this should subside over time. Plaque and tartar could build-up around the crown if a proper dental hygiene routine is not maintained. It is possible that the crown could eventually become loose, and if this occurs it is best to contact our office so we can find the cause and provide a solution. It should be noted that porcelain crowns also have the potential to break, chip, or crack, just like real teeth. Individuals missing one or multiple teeth side-by-side may benefit from a dental bridge. 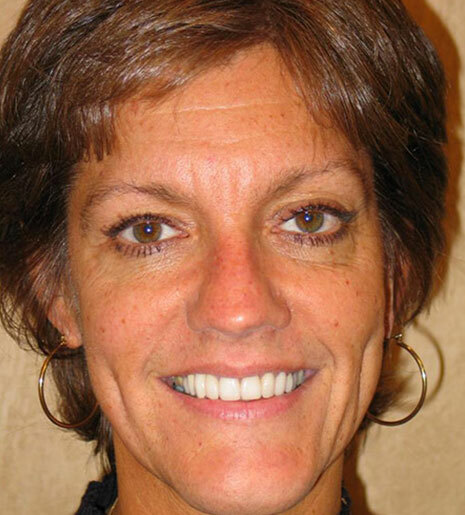 This treatment involves the placement of a prosthesis that is anchored to your natural teeth with dental crowns. This can be a good option for patients who are not candidates for dental implants but who would like to improve their bite and enhance their smile. 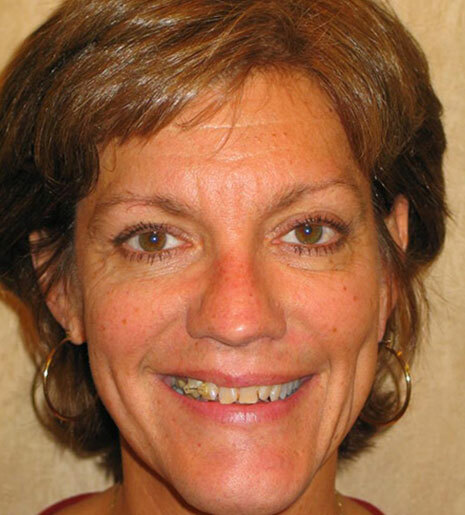 If Dr. Lodding believes you may be a good candidate for a dental bridge, he can create a custom treatment plan. At your first appointment, Dr. Lodding will administer a local anesthetic to numb the treatment area and help make the procedure more comfortable for you. Each tooth near the gap will be cleaned and prepped to receive crowns for either side of the bridge. Our master ceramist will then work with Dr. Lodding to examine the area and take any molds necessary to create your crowns and bridge. These are completely customized to your needs and are designed to blend seamlessly amongst your other teeth. Once your crowns and bridge are placed, Dr. Lodding will ensure they fit comfortably in your mouth and that your bite is balanced. Here are some of the questions we most commonly receive about dental bridges. If you do not see your questions below, our staff will be happy to talk with you about any concerns you may have. Yes, there are two different types of bridges. A fixed bridge can only be taken out by a dentist, while a removable bridge is one you can take out and clean as needed. Dr. Lodding can review both with you during your appointment. Will my dental bridge need special care? A regular at-home dental hygiene routine should be enough to maintain a fixed dental bridge. We recommend that this include brushing your teeth twice daily, flossing, and visiting the dentist at least two times per year. The cost of both dental crowns and dental bridges are determined from patient to patient, depending on your dental needs. Dr. Lodding will examine your teeth in a consultation and create a custom dental treatment plan specifically for your oral needs. This will also detail an estimate for the cost of the procedure. After contacting your insurance company, we can help determine what may be covered before your appointment. Our practice offers dental financing and a variety of payment methods that can help you receive the treatment you need. Our patients’ dental health is our number one priority, so we can work with you to develop a plan for a healthier mouth and a beautifully restored smile. For more information about porcelain crowns and dental bridges, or to schedule a consultation with Dr. Lodding, please contact us today.